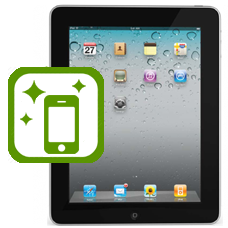 iPad refurbishment service, allow us to restore your iPad to its former glory. Our expert technicians will replace the rear back cover and front glass and LCD if needed and the battery of your iPad restoring your iPad so it looks and performs as good as new.The iPad refurbish service is a good choice if you have already smashed or damaged the front touch screen glass and the LCD, and your rear metal case is worn or damaged, you also have the benefit of a brand new battery fitted to the iPad. In combining the repairs we offer you a great discounted price.